Home » News archive » JORDAN RUDES…m." JORDAN RUDESS: Lyric Video "Why I Dream." 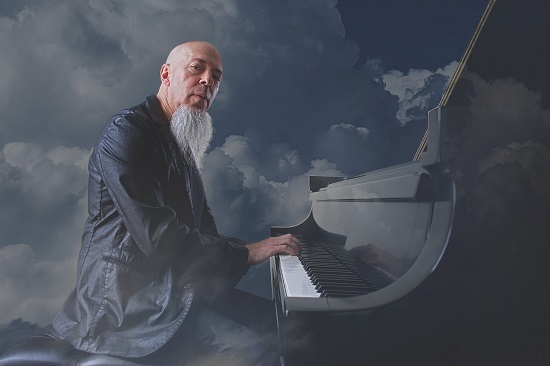 Dream Theater’s Jordan Rudess is back with a brand new lyric video for Why I Dream, taken from his upcoming new stunning solo album ‘Wired for Madness’, out on April 19 via Music Theories Recordings / Mascot Label Group. Speaking about the video Rudess explains "Trust the cards if you dare… Guitarist, Vinnie Moore, and I trade burning leads in “Why I Dream”, the lyric video release from my upcoming solo album. Wired for Madness serves up a full range of my styles and influences. In “Why I Dream”, you get a blend of prog rock and fusion with tinges of musical theater. Enjoy!" Wired for Madness bursts and flows forth with all of the drama, technique and melodicism that have become his musical hallmarks, the album also features the keyboard wizard handling many of the vocals. Renowned guests include drummer Marco Minnemann, Dream Theater frontman James LaBrie, guitarists Vinnie Moore, Guthrie Govan, Joe Bonamassa and John Petrucci. There are appearances by notable players including drummers Rod Morgenstein and Elijah Wood among others.